Do authority figures set your nerves on edge? 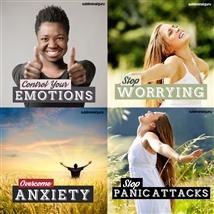 Want a quick and easy way to ease your anxiety? Some people are intimidated by authority. They get stressed when they have to speak or contribute, often breaking out in a sweat or shaking uncontrollably. It makes life difficult and can prevent them from progressing in their careers. 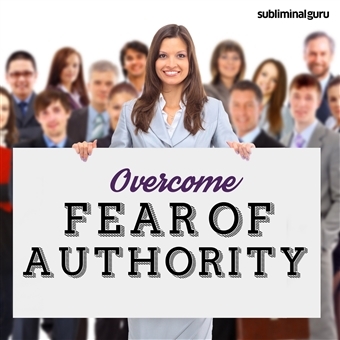 With the Overcome Fear of Authority subliminal session, you'll recover your confidence and self-esteem! As you listen, thousands of powerful positive affirmations will rewire your mind, helping you deal calmly with authority. You'll start to relax and accept your position, knowing that those in charge usually have your best interests at heart. You'll become stronger and more resilient, able to take orders and make a contribution with grace and dignity. Defeat your fear of authority! 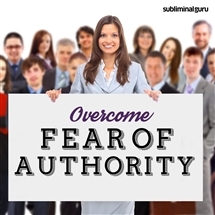 Download the Overcome Fear of Authority subliminal audio now to learn to interact with anyone, regardless of their status. I am confident in any situation. I remain calm and centered in all situations. I let authority figures do their job. I respect authority and its place in my life. I avoid taking criticism personally. I am strong enough to cope with authority. I recognize my place in the overall scheme of things. I know that someone has to be in charge. I pull my weight and get on with things. I feel safe and secure around authority figures. Dealing with authority is getting easier every day.